Prince Harry and Meghan Markle’s upcoming expected wedding is going to be one very star-studded affair. That’s because all of the couple’s A-list friends are expected to attend, including Usain Bolt, Priyanka Chopra, Serena Williams and more. There’s no denying that Prince Harry is one member of the royal family who loves rubbing elbows with the entertainment industry’s elite. Unlike his brother Prince William, Harry loves to maintain friendships or simply keep in touch with Hollywood and music stars like James Blunt, actor Will Arnett and even actress Margot Robbie. Plus, Meghan Markle has a few Hollywood friends of her own, including Bollywood beauty Priyanka Chopra, Serena Williams and her Suits co-star Patrick J. Adams. Of course, there will also be Harry’s close circle of buddies, including his best friend Tom “Skippy” Inskip, Guy Pelly, Arthur Landon and more. And if there’s one person who is the most excited about Harry and Meghan’s star-studded wedding, it’s Meghan’s future sister-in-law, Kate Middleton. If there’s one thing that the Duchess of Cambridge loves the most, it’s being in a room full of A-list stars. Kate Middleton has made it no secret that she would rather spend her time with high-profile celebrities than members of the monarchy. After all, Kate thinks of herself as the biggest celebrity of the royal family. And while the spotlight is going to be on Harry and Meghan on their wedding night, it will still give Kate an opportunity to wine and dine with some of the biggest stars on both sides of the pond. Of course, Prince Harry is yet to make things official, although many royal observers believe that an engagement will be announced any day now. After all, Harry and Meghan made it pretty clear that they are in it for the long haul. 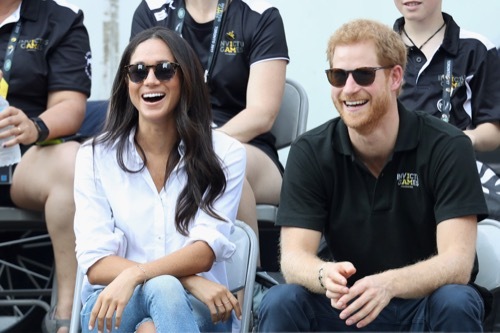 They held hands and sat next to each other during the Invictus Games in Toronto last week. If that weren’t enough, Meghan’s mother Doria Radlan was also invited to spend a little quality time with her future son-in-law at the games. 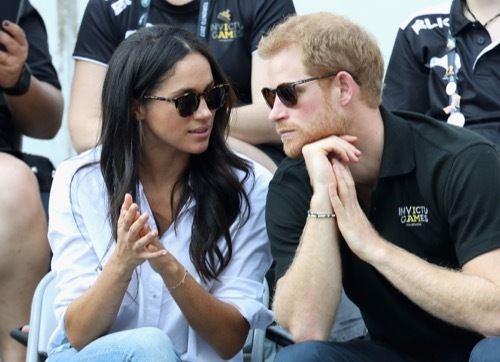 Now it’s only a matter of time before Harry proposes and once he does, the couple will plan their royal wedding almost immediately. It’s without a doubt that Prince Harry and Meghan Markle’s upcoming wedding will be the social event of the year. In the meantime, don’t forget to check back with CDL for all the latest news on Prince Harry, Meghan Markle and the rest of the royal family right here.